I wanted to circle back around and quickly talk about operating models because I’ve recently had some questions from people. I’ve covered this territory before here, here and here, but I think giving a conceptual understanding of it might be helpful so I’d like to bring up one of my favorite books on this topic. It’s called Enterprise Architecture As Strategy: Creating a Foundation for Business Execution by Jeanne W. Ross and it’s an absolutely phenomenal book. If you haven’t read it you should go out and buy it. It’s a great book for anyone who is trying to understand how technology integrates with the business to support the organization. A few chapters in is where she begins to talk about the operating model. For her, the operating model can be boiled down into the degree of integration and standardization necessary to support the business. If you think about it, it’s a really succinct way of characterizing how the technology within your organization needs to work with the business in order for the business to succeed. Organizations that have very distributed management, ones that have a lot of projects with their own ROI, businesses that are growing fast by acquisitions; all of those are examples of organizations that are probably less standardized and less integrated by design because that’s how they perform best. On the other end of the scale are businesses that are very tightly standardized and integrated. Think of very large web retailers; organizations where economy of scale is everything. They’re just fundamentally different in how they’re organized, managed, and how technology supports them and they should be recognized as such. Too often as a planning organization within the enterprise there’s a temptation to get caught up in everything. Standardization is not always good. If you’re not careful you could end up fighting what’s best for the business in the pursuit of small incremental achievements in terms of savings or other types of efficiencies that don’t really add to the business as a whole. The same can be said on the other side where organizations can, by virtue of not investing in planning for integration and standardization, miss out on opportunities in the name of saving dollars. In pursuit of the savings part of their planning effort they never realize the types of efficiencies that they’ll need to be successful in the marketplace. So that’s a very fundamental sort of talk about how the operating model concept works. I’ve just covered the two extremes of the four square model. I talked about the diversification model and the unification model. I didn’t talk about the two other quadrants, but I’ll cover them soon. As I mentioned in my last Webinar Recap, at my company, Millsapps, Ballinger & Associates we consider continuing education and training to be a non-negotiable necessity, both within our company, and as a service to our clients. So our training division; MB&A Academy, was born. One of my favorite offering through MB&A Academy is our free Webinar of the Week. Every week we feature industry leaders and experts giving a peek into the full length courses we offer to leading government officials and corporate executives. I gave our last Webinar in 2012 on a topic I consider to be essential to success in any organization. Defining and communicating your Operating Model. While we specifically offer these Webinar over the lunch hour on a Friday to make it easier for our audience of busy executives to attend, I know it’s not always possible to pull yourself away from work for an hour a week. So I’ve decided to make the Webinar Recaps a regular thing on my blog. While you won’t get all the benefits of attending live, you can get an idea of what you missed. And as always, if these discussions spark a question in your mind feel free to contact me. For companies to succeed, they must understand their operating model: in other words, the degree to which they must standardize business processes and/or integrate data to produce optimized business outcomes. I feature real world examples from both the public and private sector of how to understand your operating model, allowing business and technology to support each other in meeting the mission and vision of the company by embracing a shared vision for how they should operate the company. In my Webinar, I spoke about the four basic Operating Models, as designated by Ross, Weill, and Robertson in their excellent book, Enterprise Architecture as Strategy (If you’ve not read it I recommend picking it up). 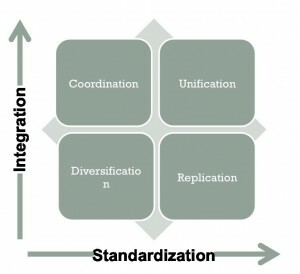 These are the Diversification model, the Coordination model, the Replication model and the Unification model. To hear a bit more about these models, check out the clip from my Webinar below. We finished off 2012 with an overview of choosing your Operating Model, for our first Webinar of 2013, MB&A Academy guest Instructor Bob Daniel’s course Here Comes the Next Big Thing: Adopting new technologies is inevitable. Doing so successfully isn’t. He will discuss the motivations driving the adoption of new technologies, the factors that disrupt adoption, and what you really need to do to be successful. You’ll leave with a framework and set of tools you can use to build success into your technology adoption programs. The Webinar will be January 11that 12:00 pm EST. To register, click here. One of the reasons why this is so important in the process of understanding how you should be looking at your organization is that it keeps you from falling into the trap of thinking that more standardized and more integrated is always good. I have heard many, many very smart and well-respected executives talk about EA as though the entire point of it was to develop a consistent mechanism for becoming more standardized and integrated. This overly simplistic viewpoint can be a value killer for many organizations. The fact is that there are numerous reasons to opt for less standardization and integration. I am going to focus on those in this post because the case for standardization and integration is so stunningly obvious and uncontested. Specifically, process orientation and integration is the enemy of agility. I know that by saying this I will have people tell me that I just haven’t seen it implemented correctly. This misses the point. The fact that you have a standard way of doing something means almost by default that the person engaged in the process does not generally have the full freedom to do the process however they see fit. Hence, it is less agile. I’m not going to debate whether or not you can have an agile, standards-based set of processes—I’m sure you can. I’m just saying they aren’t as agile as no process almost by definition. 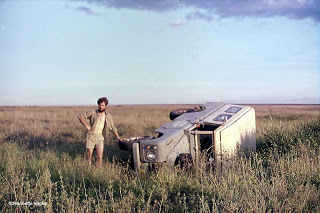 The real world situations where less process may be good are many but may not be obvious, so I’ll share a few examples. The first is an organization that is rapidly acquiring other organizations or has a heavy focus on M&A activity. These organizations are probably better suited to focus on less process orientation and integration, as the process of moving acquired organizations onto a specific set of processes and ensuring a tight integration of data will necessarily slow the acquisition process and may slow the time to a return on investment. If this organization is a highly diversified conglomerate, it may be that its business and technology executives should be focused on the diversification model. The second is the organization that leverages internal competition as part of its business strategy. An example may be a real estate office where there is fairly heavy process orientation, but less of a focus on integration. The reason is quite simple. The law demands that transactions be processed a certain way. However, due to how many of the industry’s largest players are organized with individual agents vying for business against both their own organization and other organizations, most of these organizations do not place a heavy emphasis on internal data sharing because it works against this competitive dynamic. The technology and business leaders in this type of organization might want to focus on a replication model as opposed to the unification model. For the third I think I’ll veer away from the private sector and provide a public sector example. Many public sector organizations, particularly at the cabinet level have very diversified missions. If one were to look at the Department of Agriculture closely, you will find a highly diverse set of missions served by its agencies including banking and financial, emergency response, natural resource management, etc. spread across 150,000 employees. This level of complexity almost invariably means that process standardization across these agencies (business units) will be exceptionally difficult. However, the nature of government and the impact of recent legislation is that the central organization must able to understand and share data across these units. Therefore a focus by the business and technology executives on data integration and standardization is appropriate. Many public sector organizations, particularly at the cabinet level, would be well served to look at the Coordination model and see if it wouldn’t provide a more relevant scope for EA efforts. No matter where your organization falls in this, it is important simply to have the conversation across your business and technology stakeholders. Having run operating model workshops with clients it amazes me how divergent the viewpoints can be within just the technology organization or within just the business, let alone across both groups. A lot of the power of the operating model can be gained simply by having the conversation. There is enormous untapped value in understanding how your organizations operating model can drive how you do strategic planning and technology implementation. Simply asking these types of questions with all of the relevant stakeholders in the room will drive incredibly valuable conversation across the organization. Has your organization had the operating model discussion? I’ll be giving a Webinar today for MB&A Academy’s Webinar of the Week Series. Every week we feature industry leaders and experts giving a peak into the full length course we teach to leading government officials and corporate executives. My talk today will be on Operating Models. The idea of an “organizational operating model” is the central concept discussed by Dr. Jeanne Ross, Peter Weill, and David C. Robertson in their seminal work, Enterprise Architecture as Strategy: Creating a Foundation for Business Execution. They contend that for companies to succeed, they must understand their operating model: in other words, the degree to which they must standardize business processes and/or integrate data to produce optimized business outcomes. Higher standardization of processes is typically required where efficiency and predictability are the primary factors in delivery of the organization’s products or services. If an organization wants to present the same face to customers in diverse locations, or capitalize on efficiencies of scale in purchasing, for instance, a high degree of standardization is required. The higher the level of standardization, however, the greater the cost to the overall organization in terms of flexibility and innovation. 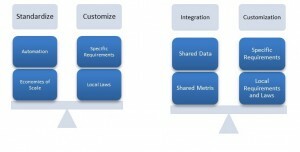 Data integration effectively links the efforts of various organizational units through information sharing. Higher levels of integration encourage close working relationships between various areas of a business or agency, and more centralized decision-making. Also, the more integration, the more agreement is required on definitions, and this comes at the cost of local control and autonomous management of information resources. Clearly, each organization will have different needs; even different divisions of the same company may have quite different objectives. As such, different operating models can maximize their individual potential. Once the Operating Model is determined, the Enterprise Architecture can be designed to meet the critical process standardization and integration requirements for delivery of the company’s products or services. Ross, Weill, and Robertson specifically define four models that exist depending on standardization and integration requirements of each organization. To learn more about these models, and how we work with our clients to identify to most productive To-Be model for their organization, check out my Webinar today at 12:00pm EST. Register here. As a manager, the information insight into your operating model should drive governance as well as your EA and planning programs. In fact, the operating model should drive every other decision you will make because it will help you understand the federation and spans of control within the organization; to the point where you can determine at what level decisions should be made regarding specific types of management inputs. Particularly for large, complex and/or federated organizations, this is one of the major sticking points that prevent the organization from getting value from their enterprise architecture, governance, and planning efforts. A large diversified conglomerate simply should not be looking to standardize and integrate at the enterprise level in the same fashion that a tightly focused technology oriented or manufacturing company should be, even at comparable sizes. The same advice follows in the public sector. Agencies with tightly focused missions like the IRS can have a much more standardized and integrated planning and governance configuration than an organization like the USDA, which includes organizations dedicated to emergency response, research and development, financial management (loans & grants), etc. That isn’t to say that there is not a use for enterprise architecture, governance or other planning disciplines within organizations that are using a diversification model (low standardization, low integration), it is simply that the function of these efforts may be more focused on reducing core infrastructure costs, managing licensing, supporting capital planning, and ensuring a technology backbone is in place to support the business. This is in contrast to the unification model (high standardization, high integration) that may drive a ROI in a highly standardized and integrated organization, like an online retailer, where massive economies of scale and top line value may be gained by tightly controlling decisions and resources. Obviously, there are degrees to all of this and I haven’t even mentioned coordination or replication models, but my point is that there is real value in examining your organizations operating model as an input to how you build your EA, governance and planning efforts. In the end, these management disciplines developed with the intention of facilitating decision support and control need to be tailored to the environments in which they exist. An examination of the operating model will help you plan at the right level and delegate in a manner that reduces the tax that many business units perceive is being placed on them when “corporate” comes asking for data or begins to exert influence on buying decisions. Getting value from these types of programs once there is a perception that the governance or planning process is increasing response times, lowering performance and adding to the cost to execute is nearly impossible. What does Enterprise mean to my Enterprise? As organizations struggle to evolve, adapt and become more efficient in these challenging economic times, one of the things they focus on is making better use of scarce resources in order to meet their goals. Often this takes the form of identifying areas where consolidation can occur in order to leverage economies of scale. The discussion in the meeting may include sentences like “Well, I think we really need to focus on enterprise capabilities” or “The only way for us to get some of these costs out is to identify our global business processes and make sure they are truly efficient.” I’ve sat in these meetings and had these conversations at the water cooler, and I think that to truly capture these efficiencies and economies of scale, their needs to be a broader understanding of how terms like enterprise, global, common, etc. fit into the way that the organization operates. There needs to be some precision about what these terms really mean and the organization needs to define these things explicitly. It is also important to define more than just the biggest or most global things in the enterprise. It’s important to have categories for the things that aren’t global, enterprise or common. This is because to really work well organizations need to explicitly define not just what will be governed, but what won’t. Deciding where to allow local control explicitly opens the door to real agility where it is most needed and prevents wasting management resources on making decisions that should really be made at a lower level. This needs to be made explicit because the tendency otherwise is to pass decisions upwards. Eventually the avalanche of decision requests will overcome the ability of the decision makers to make insightful rulings and a breakdown occurs where those making the decisions are uninformed and those passing the decision upward bear little responsibility for the results of the decision. This obviously does not increase organizational performance and can lead to a viscous cycle where the decision makers attempt to rest even more decision making authority from those below in an attempt to get things moving back down the right track with disastrous consequences. Fortunately, there are some proven approaches that organizations can use to help work this problem that includes developing an explicit vocabulary and determining how the organizational operating model should work. 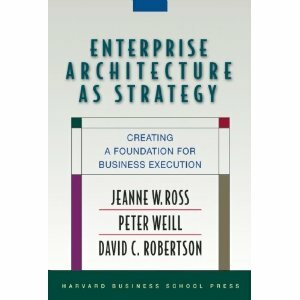 For one thing many people have caught on to the Operating Model concepts embodied in Enterprise Architecture As Strategy: Creating a Foundation for Business Execution by Ross and Weill and begun to frame their governance in a manner that is based on the organizational operating model structure. By taking the time to determine the right level of standardization and integration at the various levels of organizational federation these organizations are helping to build the framework from which governance should be expressed. By making clear determinations about what they expect to get from their governance, i.e. a specific degree of standardization and integration they make it easier to craft the governance itself. This is absolutely a critical activity for Enterprise Architects and architectural organizations. Essentially, if you buy into the idea of an “organizational operating model” you are buying into the idea that successful organizations openly express the degree to which they will standardize business processes and/or integrate data to produce optimized business outcomes. An Enterprise concept supports the organization without customization for all markets. Enterprise concepts do not contain any organization specific business logic, business rules, or business processes, etc. If this is an application or service it is possible that they can be configured for specific business unit use, but this should be limited to configuration that does not impact usage across the organization. Enterprise items may initially be developed and funded by any organization; however it is my opinion that once something is recognized as “enterprise” the funding mechanism should be moved to the highest level of the federated organization leveraging the concept in order to maintain the enterprise nature of the item in question. A Common concept supports multiple business units or organizations within the federated structure. Common concepts contain or may be tailored to organization specific business logic, business rules, or business processes, etc. An important consideration for common concepts is governance structure. Significant efficiencies may be gained by encouraging common item usage, but only if the organizations using these concepts can count on having a voice at the table when decisions are made to adapt, tailor or change these concepts. The use of common concepts probably embodies one of those most fertile areas for many organizations to gain economies of scale and facilitate collaboration and capability but the usage and value of these are going to be heavily influenced by the design of the governance structures that will support them. The ongoing financial support and funding mechanisms should also be clearly illustrated in order to gain maximum benefit. If “common” concepts are to be adopted and leveraged the organizations that use them must believe they are getting a square deal on the purchase (or development) and support costs across the organizations that leverage these items. A Local concept is applicable to specific units or organizations within the federated environment. These local products may include specific extensions to “enterprise” concepts or standalone items that are unique to a single organization. For the larger organization the management of these will be heavily dependent on the Operating Model approach. Important considerations should include ensuring that local concepts are faithful to the operating model and do not undermine the optimum level of standardization and integration that is being sought by the larger organization. Local concepts should also be reviewed on a regular basis in order to identify locally successful concepts that could be applied to a larger swath of the organization. Most importantly for organizations where the operating model dictates a high degree of autonomy because of the specialized nature or high degree of independence of the “local” organization is that the central organization should respect this local designation. The tendency to over govern or apply an enterprise solution to a local problem is sometimes quite predominant among strong central planning organizations. If you have worked hard with the business’ various federated planning structures to develop an operating model that includes the management of concept “x” as a local item DO NOT go back on that promise lightly. I hope this provides a better understanding of how to use a light classification of items within a federated organization. I can’t stress enough how important a mature understanding of Operating Model concepts can be to really leveraging these concepts within your organization. For this I would recommend reading the book Enterprise Architecture As Strategy: Creating a Foundation for Business Execution by Ross and Weillas well as spending some time reviewing your general governance in light of this reading. I think the operating model is one of the most under appreciated concepts in the practice of Enterprise Architecture and is often treated as an after thought rather than a foundational component of the EA program. Understanding the level of standardization and integration that is applicable to your business has enormous implications for how you execute your EA program, the governance you use to implement the program and the way you resource and staff. The above was focused on a small piece of making a real understanding of your organizations operating model something that can really work by having clearly defined classifications for concepts in terms of organizational span. Combine these with governance based on the desired operating model and you have a pretty mature method for controlling the usage of EA concepts within the organization. Put our team to work improving your organization’s performance. Visit Millsapps, Ballinger & Associates online.